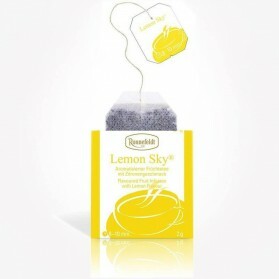 Ronnefeldt Tea Bags There are 3 products. A fabulous fusion of organic green tea and subtle pear and peach in convenient teabag format Green Angel is extremely refreshing, if you've never tried green tea, this is a great way to start Packed in Ronnefeldt's Teavelope foil sachets for freshness Certified Organic Brew for 3 minutes Sold in a box of 25 servings. Ronnefeldt Tea Teavelope® Sweet Ginger Fruit Infusion The delightful spiciness of ginger crowned with the fruity sweet note of apple.Brewing time: 5-8 min Each teavelope is individually wrapped in an aroma protection sachet for perfect freshness. Sold in a box of 25 servings.